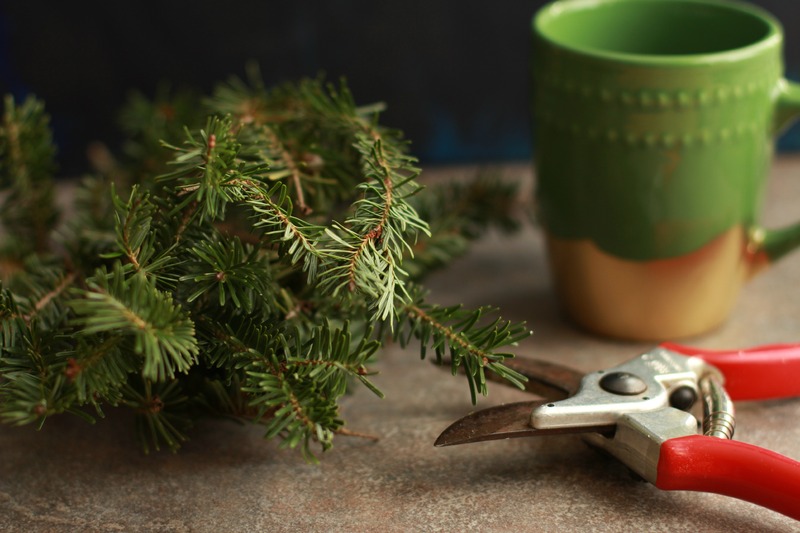 Holiday gifts don’t have to be a headache, they can be both beautiful and budget-friendly! With a few supplies you can make your very own DIY Gilded Holiday Mug for just a few dollars and give it to someone special without feeling like you are giving them something second-rate. This is a simple handmade gift idea (my favorite kind!) 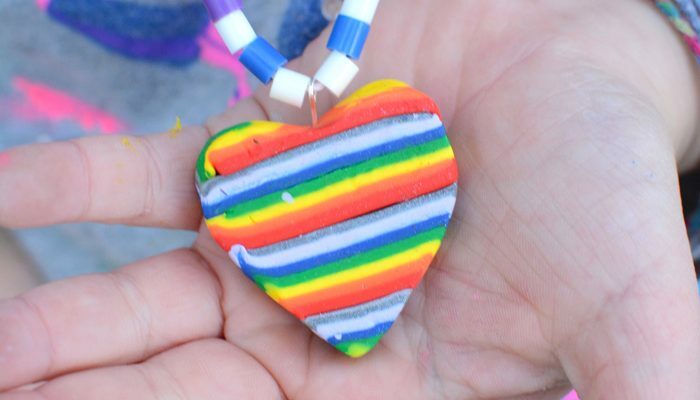 you can do in less than 30 minutes once you have your materials on hand. I like to search thrift stores and dollar stores throughout the year to collect cheap mugs and glasses perfect for projects like this. 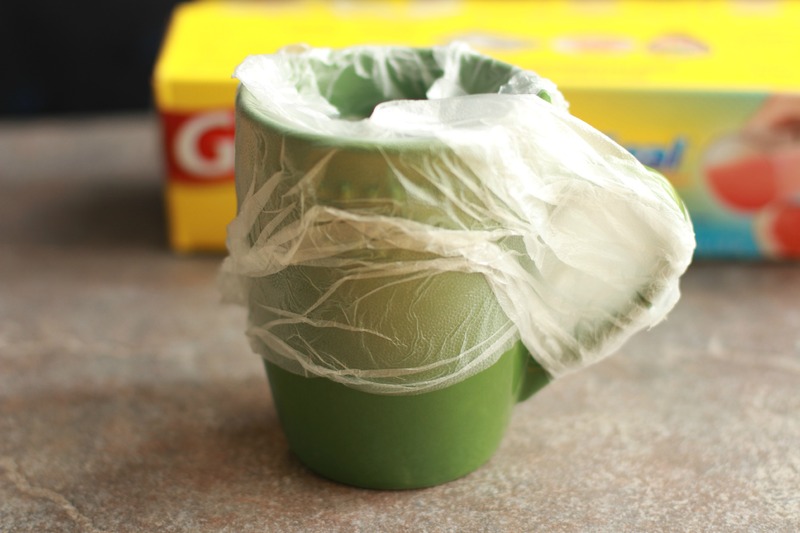 Start out by covering the top of the mug with press-n-seal wrap. You will be painting the bottom half of the mug. The look we are going for here is NOT a straight line but rather something more painterly and haphazard looking. 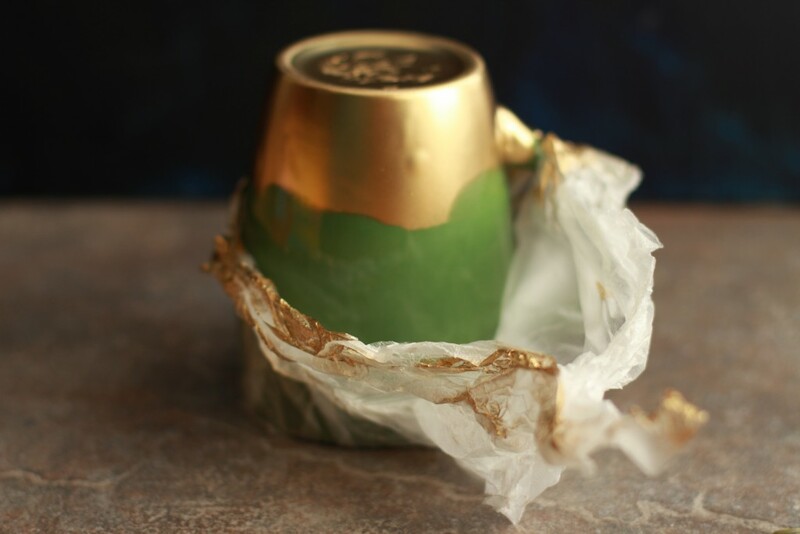 Press and seal works perfectly for this look since as you wrap it around the mug it naturally creates a wavy, crinkled line. 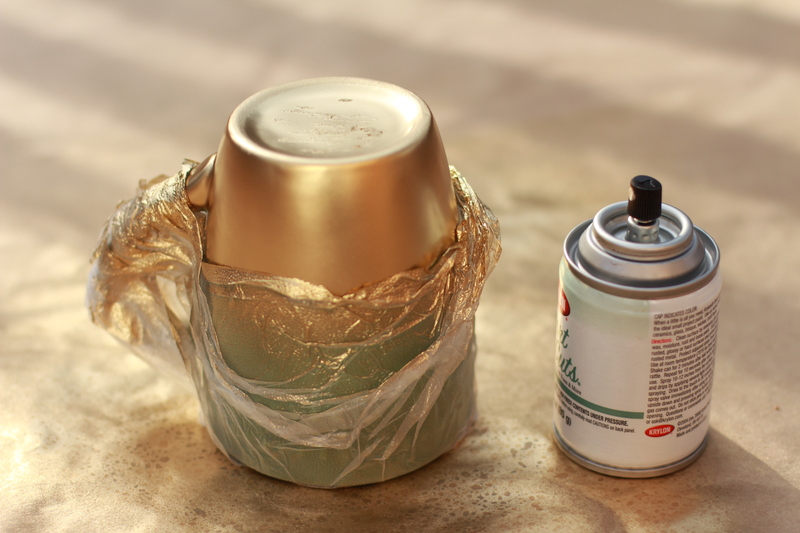 Spray paint the mug. Turn the mug upside down to do this and then spray it with gold paint. Paint around the whole bottom half of the mug. Remove the press and seal from the mug after it dries for a bit and you are all set! Let it completely dry. Cut some winter trimmings from the tree and fill the mug with water. 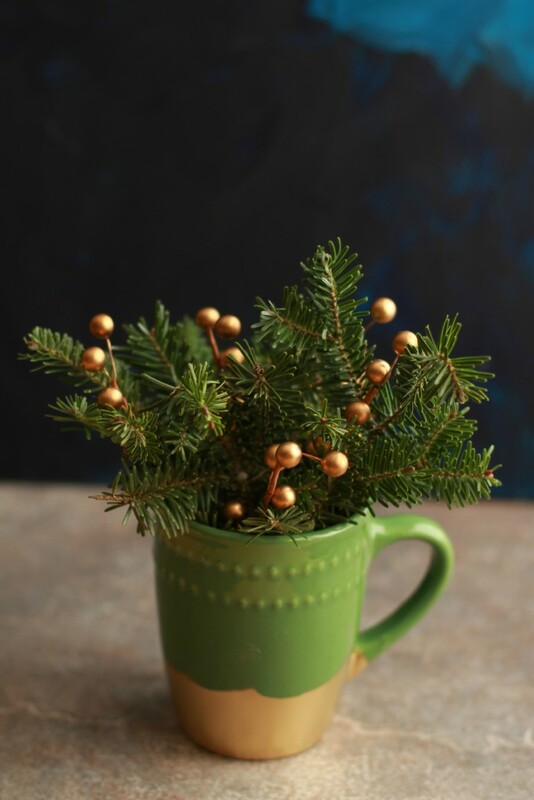 Stuff the trimmings inside the mug and embellish with some decorate faux winter berries or gold berries like we used here. 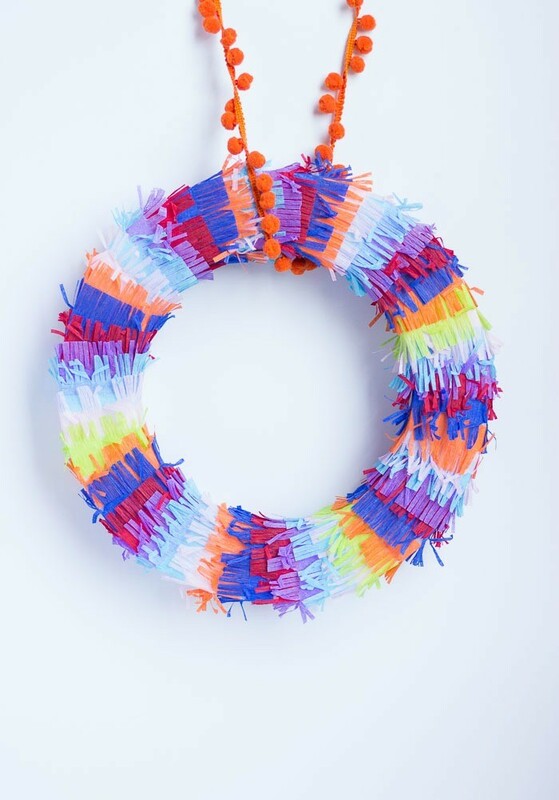 Tie something very simple like baker’s twine, in a ribbon around the base and you are all set! 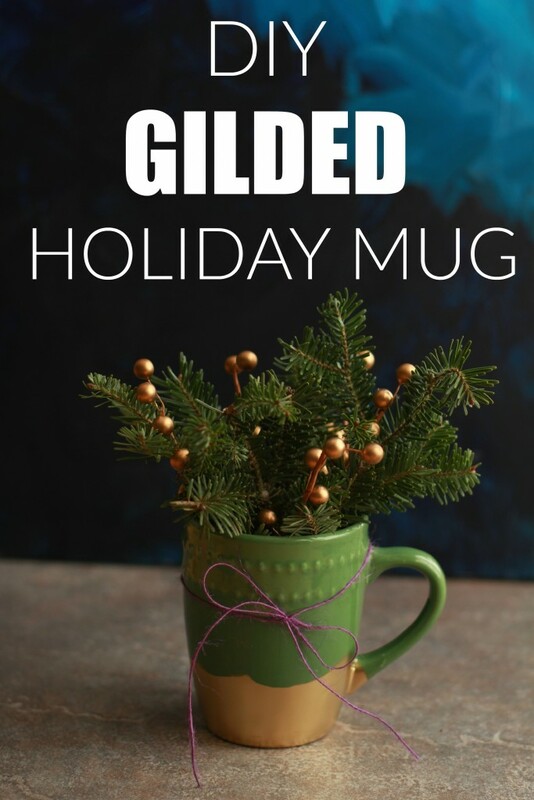 After you gild your holiday mug, fill it with winter trimmings and something sparkly like gold berries to make it really shine! I love giving mugs as gifts because they can be used for hot cocoa or coffee or even as an unexpected vase like this. Hi, I'm Caroline Gravino, a mother of four and professional videographer. I produce short form videos and content for brands such as PBS, GoodCook and eBay. See my latest videos at Salsa Pie Productions.